Wishing everyone a restful spring break. Happy Easter and Happy Passover! Only products purchased by the district may be used for cleaning and disinfecting the classrooms. Products which contain ammonia (such as Disinfecting wipes, Hand Sanitizers and Windex) may not be placed within the reach of our students. Please refrain from using these products. Emergency windows must remain free and clear at all times. 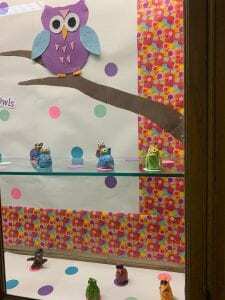 Classroom doors may not be chocked or wedged open. These are fire rated doors and for the safety of the room occupants, the doors are to remain shut at all times to maintain the corridor wall fire rating. Regarding the use of extension cords in the classrooms, all electrical equipment should be plugged directly into an outlet. If you have IT equipment or other equipment in your rooms that require power and they are not close enough to a source, see German so that he may submit a work order requesting an outlet. In all classrooms, petroleum-based plastic bag liners will be eliminated immediately after the spring break. Do not put liquids and food products into classroom trash receptacles. The large corridor containers throughout the building will be reserved for liquid, and food products, trash, recycling and comingles (dry mixed recyclables). This will reduce the thousands of plastic bags that go into landfills, taking years to break down. The custodial staff will have a generous supply of extra clean classroom receptacles on hand to be exchanged in the event bins get soiled during any given day. We understand there will be a learning curve as this new protocol is implemented. If you have any questions, please email German and also “cc” Sharon and me. Thank you for your cooperation. 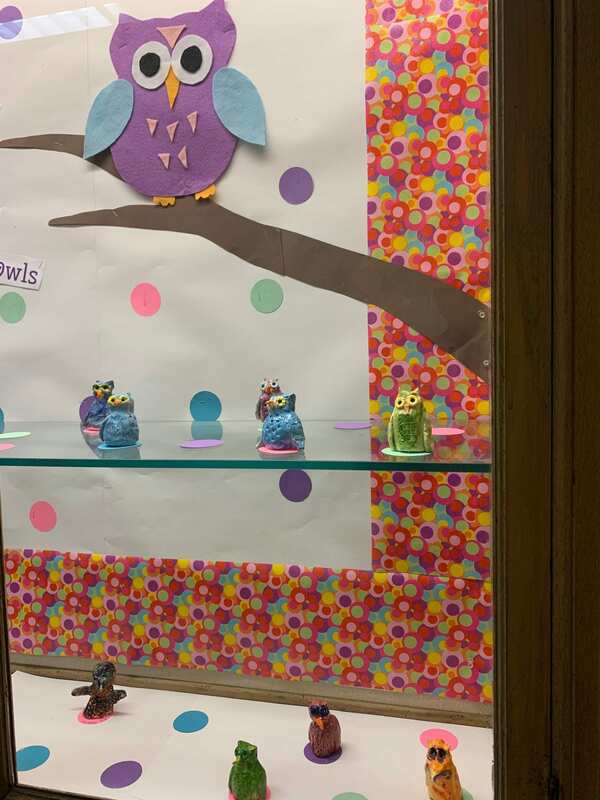 Display (near the gym) of the most adorable owls done by our creative Second Graders!